The actors, staff and crew of the hit drama "That Winter, The Wind Blows" will be vacationing in Cebu in southern Philippines starting today. The vacation is an incentive for the people who worked on the drama, which rose to the No. 1 spot in the ratings in its time slot. According to Korean news reports, the drama's actors, staff and crew will be in Cebu for four days and four nights from April 8 to 12. Jo In-sung and Song Hye Kyo, the main stars of "That Winter, The Wind Blows," will be unable to join the team because of their busy schedule. About 80 people will go to Cebu including the actors, director Kim Gyu-Tae, writer Noh Hyee-kyung, staff and crew. The vacation was also made possible as the production team was able to save on production costs by shortening the number of shooting days. "That Winter, The Wind Blows" is a story about Oh Soo (played by Jo In-sung), a gambler, and Oh Young (played by Song Hye Kyo), a blind who is the heiress to her father's company. Oh Soo pretends to be Oh Young's brother. The drama also starred Kim Bum, who starred in "Boys Over Flowers," and Jung Eun-ji, member of girl group A Pink, who starred in the hit drama "Reply 1997." "That Winter, The Wind Blows," premiered in Korea on Feb. 3 and aired its last episode on April 3. The 16th and last episode rated 15.8 percent to remain at No. 1 in its time slot. 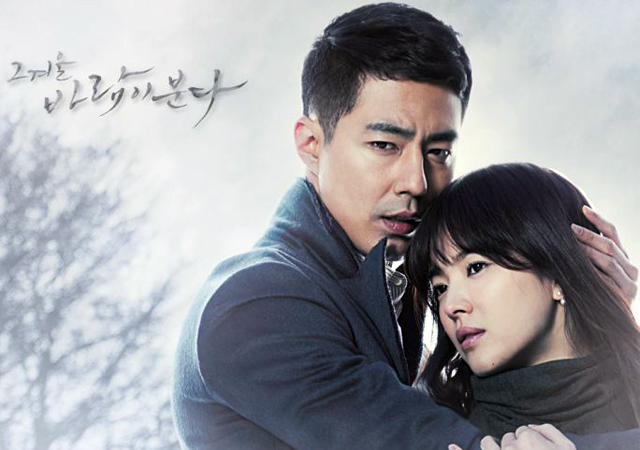 "That Winter, The Wind Blows" is Jo In-sung's first drama in eight years. His last project was "Spring Days" which aired in 2005. It was also Song Hye Kyo's first drama in five years since starring in "Worlds Within" in 2008. She rose to fame via "Full House," a comedy-romance series which also starred pop star Rain. Song Hye Kyo said it was hard playing a blind in the drama. "Other actors were able to look at the ground and each other, but for my character, my eyes had to stay blank. Now it's weird for me to look straight into other people's eyes," she said, according to The Chosun Ilbo. She added, "I read viewers' comments about the drama saying that they have come to have interest in the blind and that watching the drama has made them angry to see people look down on the disabled," she said. Song Hye Kyo said she focused on studying her character. "I studied the script thoroughly with writer Noh and invested much time for the show, so I think I was able to depict my character's emotions with more depth," she said.